It has been said that Thanksgiving is a very confusing holiday for atheists. They have all these feelings of gratitude, but no one to whom they can give thanks! We also know that God expects us to express our thanks to him in meaningful ways. 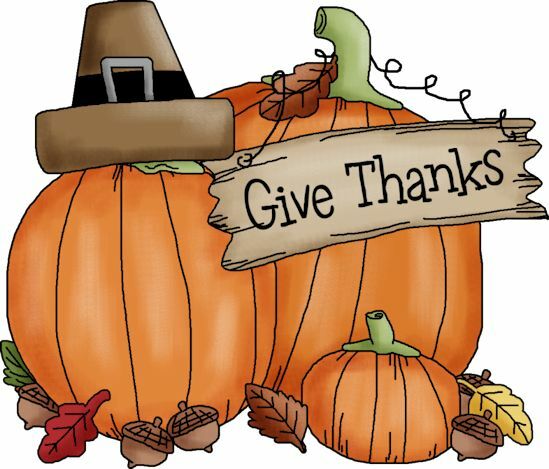 The words “thank”, “thankful” and “thanksgiving” appear in the Bible in various forms 150 times. Let’s look at a few of the ways we can give thanks to God. First, we can give an offering. Psalm 50:14 says, “Sacrifice thank offerings to God, fulfill your vows to the Most High.” Beyond the tithe that belongs to God, you can give extra offerings to mission work or benevolent efforts that are made for the cause of Christ. There are many ways you can show your gratitude with your giving. Second, we can appreciate our healing. Only one of the ten men healed of leprosy took time to thank Jesus (Luke 17:11-19). Perhaps God has brought healing to you or a loved one. Have you properly thanked him? Next, we could pray. Colossians 4:2 reminds us, “Devote yourselves to prayer, being watchful and thankful.” Too often when we pray we go straight to our “wish list” instead of taking time to count our blessings and thank God for them. I suspect that many of us need to add more thanksgiving to our prayers. Another way to show God the gratitude he deserves is by singing to him. The Bible has a lot of singing in it—a whole book of Psalms for example. Ezra 3:11 says, “With praise and thanksgiving they sang to the Lord: ‘He is good; his love toward Israel endures forever.’” A thankful heart will occasionally burst into a song of praise and thanksgiving. Finally, we can exhibit thanks by worshiping God. Hebrews 12:28 urges us, “Therefore, since we are receiving a kingdom that cannot be shaken, let us be thankful, and so worship God acceptably with reverence and awe.” Hearts that are truly thankful make an effort to be in the assembly on Sunday morning. These are just some of the many ways we can show our gratitude to God. For Christians, thanksgiving should be much more than a holiday—it should be a lifestyle! This entry was posted in Christian Living, Humor, Prayer and tagged atheists on Thanksgiving, giving, gratitude, Jesus healed 10 lepers, singing praises, thanksgiving, worship. Bookmark the permalink.